Confident Happiness Young Woman Working On Laptop Or Notebook In Her Office. 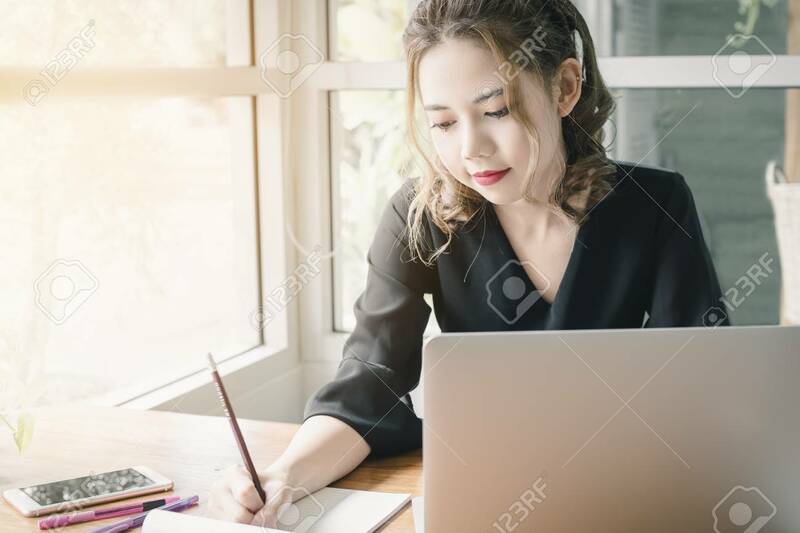 Beautiful Freelancer Woman Working Online At Her Home. Beauty Asian Business Woman Concept. Royalty Free Fotografie A Reklamní Fotografie. Image 107323984.